What Do Solo: A Star Wars Story's Poor Opening Weekend Numbers Mean For the Future of Star Wars? 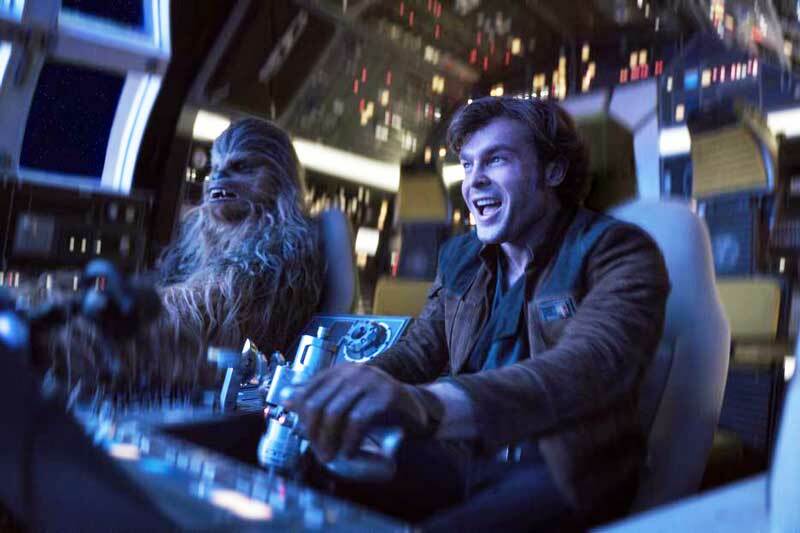 Solo: A Star Wars Story made headlines this past weekend when it opened to a measly $84 million dollars domestically. To put this in context, the last Star Wars film to be released, Star Wars Episode VIII: The Last Jedi, made $220 million dollars domestically opening weekend. Even the previous anthology film, Rogue One: A Star Wars Story, made $155 million. So Solo's $84 million dollar debut is nothing short of disastrous. A question we have to ask ourselves is why did Solo open so low? I mean, it's a Star Wars movie for God's sake! Shouldn't it automatically be guaranteed to make a billion worldwide? Well, no. 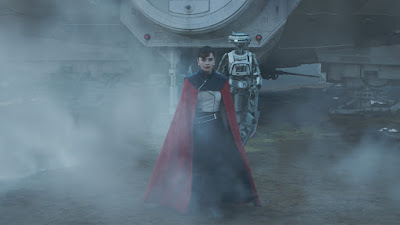 There's a few aspects of this story we have to look at first in order to fully understand why Solo opened as low as it did, before getting into how this will effect Star Wars as a whole moving forward. One important element in this whole scenario is understanding the change that has happened within the Star Wars fan community. Over the past couple years, we have seen a shift in the perception of Star Wars. Star Wars Episode VII: The Force Awakens brought back the sullied name of Star Wars in 2015, after the widely panned prequel trilogy, and got everyone back on board with this new Disney-led direction. Rogue One followed it the next year, and topped what The Force Awakens accomplished. Not in terms of its box office gross, but many hold Rogue One to be the best of the new movies. But it was with The Last Jedi where things took a turn. Most of the audience and fans liked the film, but there was a vocal minority that hated The Last Jedi. And with that came a visible division in the Star Wars fan community. While Star Wars fans have been divided in the past (particularly with the prequels), The Last Jedi signaled a shift in this division. No longer could Star Wars fans be content with having differing opinions; if you didn't subscribe to one opinion, you were outcast from the Star Wars community. Now, this radical division doesn't represent all Star Wars fans. Most are mature enough to wrap their heads around the fact that people can have different opinions and still exist within the same fandom. But, as I said before, this was a vocal minority, and that caused a lot of tension going into Solo: A Star Wars Story. Now, I have always been apprehensive about Solo. 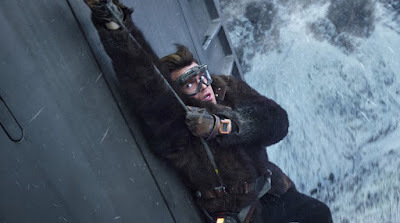 I never saw the need for a Han Solo origin story, and the production issues the film went through didn't ease my worries. But I actually quite enjoyed Solo. It's nothing special, but it's a fun time at the movies, and I enjoyed it for what it was. You can read our spoiler-free review here. But despite the fact that the toxicity of the Star Wars fan community was a minor one, it was still a factor that hurt Solo at the box office. Solo was also the first of the new Star Wars movies to open in May, as opposed to December. There is a nostalgia factor to a May release date. Before The Force Awakens, every Star Wars movie had opened in May. Star Wars was really what pioneered May as a prime spot for releasing blockbusters, and so there is something special about a Star Wars film coming out in May. However, things have changed since 1977. May is an overcrowded month in the summer blockbuster season. While the original trilogy (and even the prequels) opened in May to no competition, Solo didn't have that luxury. Just the week before Solo debuted, Deadpool 2 opened, drawing a lot of the same audience that would be going to see Solo. And just a couple weeks before that was Avengers: Infinity War. With two huge blockbusters so close to each other, Solo had a lot of competition that it didn't really stand a chance against. Infinity War was the culmination of a 19 film cinematic universe, drawing in record-breaking box office numbers. Deadpool 2 was the sequel to the mega-hit 2016 film. What was Solo? An anthology Star Wars film that nobody was asking for, with a new actor in a role everyone identifies Harrison Ford with, coming right off the heels of a divisive previous film, alongside major production issues. Solo was crushed by the competition, because it was going after the same audience that already spent their money on Avengers: Infinity War and Deadpool 2. I posted this on Twitter, and I'll reiterate it here: if Solo had opened in December instead of May, it would have made over $100 million dollars opening weekend. Not much more, but it would have crossed that mark. Star Wars has owned December for the past few years, and it makes so much money there because nothing can challenge it. The summer is dominated by other blockbusters and Star Wars movies, especially something like Solo, cannot compete in that marketplace. So why did Solo open to only $84 million dollars? It was a film nobody was asking for and nobody really wanted. Harrison Ford has been the face of that character for over four decades, and nobody really wanted to see anyone else take it over. Its production was brutal, with a massive director upheaval and over 80% of the film reshot. Combine that with the fact that it was coming just a few months after the last Star Wars film, which was very divisive among fans. And also throw in there the fact that it had so much competition in May, coming out the week after Deadpool 2. All of these factors worked against Solo, and caused it to have as meager of an opening weekend at the box office as it did. So now that we understand why Solo failed, what does it mean for Star Wars' future? I think we could be looking at the beginning of the end of Kathleen Kennedy. She is the head of LucasFilm, and it is her job to make sure everything runs smoothly, and that hasn't been the case. Rogue One went through major reshoots to fix the film, and luckily it worked out and made for a fantastic movie. Fantastic Four director Josh Trank was hired to do an anthology film, but was later fired. Phil Lord and Chris Miller were fired from the set of Solo with only three weeks left of shooting. Jurassic World director Colin Trevorrow was brought on to do Episode IX, and after two years of development was fired and replaced with J.J. Abrams. There has been so much chaos behind the scenes, and it has all been under Kennedy's supervision. But with Solo it's different because, for the first time now, it's effecting Disney's bottom line. While Rogue One had production problems, it still made over a billion worldwide and was beloved by fans. While not everyone loved The Last Jedi, it too crossed joined the billion dollar club. But now Solo has opened to $84 million, and it's not looking like it will break even. Due to the heavy reshoots, the budget for the movie skyrocketed, and now it's looking like it will need to make between $600-650 million dollars worldwide to break even. That number includes the production budget, as well as all of the marketing. But with an $84 million dollar domestic opening, and only $64 million overseas (it opened third in China, one of the world's biggest movie markets, making only $10 million dollars! 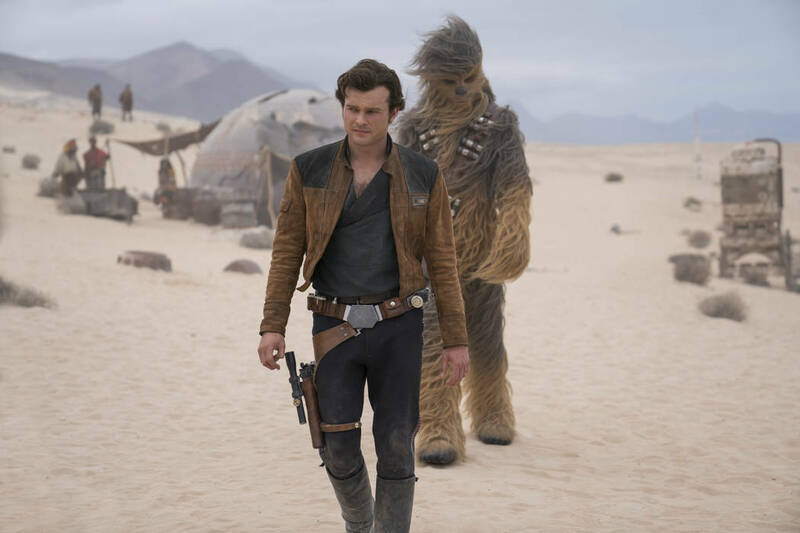 ), it doesn't seem likely that Solo will hit that $600 million dollar mark. 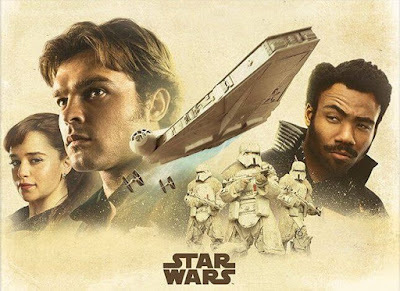 It's too early to predict exactly how much Solo will end up making, but I've read reports saying it could cap off as low as $400 million worldwide. While Kennedy's lack of proper leadership on the production side of things has made for some unsavory headlines, it hasn't affected the box office until now. So there has to be serious discussions at Disney whether Kennedy should still be in charge. If she can't establish a singular vision for a movie and she can't lock down a director who understands that vision, then I don't think she should be in charge anymore. That is one of the biggest parts of her job, if not the biggest. And if Disney is looking to keep making Star Wars movies ten, twenty, thirty years from now, and have a thriving, healthy cinematic universe, then they need to find someone who can do that. I don't think Kennedy will be let go anytime soon. I think it will be on Bob Iger's mind, but I don't think the commercial failure of one film will trigger an immediate response. But I do think Kennedy will be on probation, and it will make them reassess future films. Episode IX will go ahead as planned, but future anthology films will be called into question. There's no way we are getting another Solo movie, I can tell you that much. I really liked Alden Ehrenreich as the character, and I would be interested in seeing more movies with him, but there is no way in hell they are making another one now. And I do think these numbers are making Disney reconsider the Boba Fett movie they just announced with Logan director James Mangold. You can read the full details on that news here. Does LucasFilm really want to risk another anthology film right now? Granted, there are different circumstances surrounding a Boba Fett film than there was Solo. I think more people are interested in Boba Fett than they were Solo, and having someone like James Mangold on board does give the film some credibility. But LucasFilm will have to decide whether they want to risk making another origin movie about a preexisting character right now, in lieu of Solo's box office numbers. Rian Johnson's new trilogy is also in danger. I never thought that LucasFilm would be reactionary and can his trilogy due to a vocal minority, but now you also have to wonder how commercially viable a trilogy of films surrounding brand new characters will be. Is betting on a trilogy too ambitious? Other than Episode IX, Solo's box office numbers put a lot of LucasFilm's plans into question, and it will be interesting to see what changes they make in the coming months. Solo: A Star Wars Story's opening weekend numbers are not the end of Star Wars. It was a perfect storm of things that led to it making only $84 million dollars domestically. But just because there were a lot of specific elements that went into it doesn't mean LucasFilm and Disney won't and shouldn't make changes. They need to re-access which anthology films they want to tell going forward. Was Rogue One a fluke? It was a blend of the new and the old, starring brand new characters in a familiar setting. Does that blend lend itself to Rogue One being as successful as it was? Can anthology films about preexisting characters be commercially viable? What about Rian Johnson's trilogy starring all new characters? Has Star Wars established itself enough for these movies to work, or are they destined to have the same fate as Solo? These are all questions LucasFilm needs to be asking themselves in the wake of Solo: A Star Wars Story's box office failure, and I am sure we will see the repercussions of Solo's box office numbers in the coming years. What do you think? What change will come about in Star Wars as a result of Solo: A Star Wars Story's opening weekend box office numbers? Have you had a chance to see the film? Did you like it? Leave your thoughts in the comments section below.